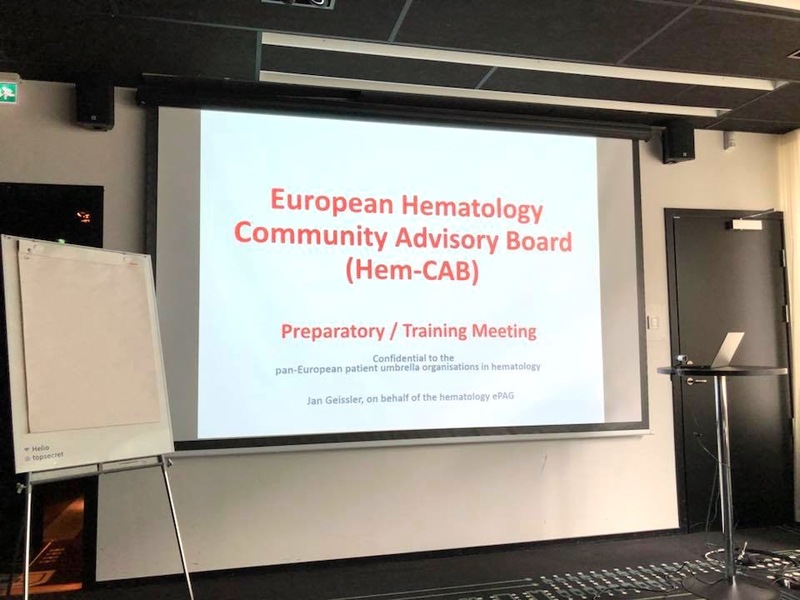 The European hematology patient community held its first hematology community advisory board (HEM-CAB) meeting in Stockholm on 18 June 2018. The hematology patient community is a very well-connected patient community in the area of rare diseases and oncology, with 12 pan-European patient umbrella organisations, including the CML Advocates Network, that have a network of over 250 member organisations that provide information for patients and carers, engage in EU and national policy and engage in research, development and regulatory affairs. 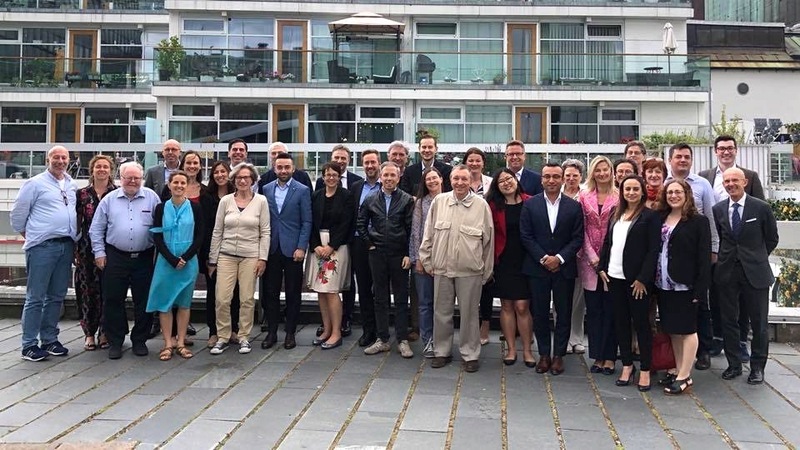 As an immediate follow-up action from the European Hematology Association (EHA) Congress, the first Hem-CAB meeting brought together leaders from the 12 pan-European umbrella patient organisations and representatives of eight pharmaceutical companies working in hematology. The CML Advocates Network was represented by Sarunas Narbutas and Jan Geissler. The 8-hour Hem-CAB meeting was preceded by a 3-hour training session, preparing patient advocates about the structure and purposes of the meeting. While the meeting was held under confidentiality terms from all parties to allow for an open and frank discussion, key findings and action points are summarized in this report. The meeting was chaired by Jan Geissler, CML Advocates Network, and Loris Brunetta, Thalassaemia International Federation. The meeting was organized and supported by the EuroBloodNET ePAG Project Management Office. The following companies participated in this first Hem-CAB with two representatives each: Alexion, Celgene, Janssen, Jazz Pharmaceuticals, Novartis, Pfizer, Servier and Takeda. In addition, the meeting was supported by AMGEN who could not send a representative on that date. The main objective of the Hem-CAB meeting was to map out and document the needs of the patient community, assess areas of joint thinking and build consensus around these three topics. It aimed to achieve more effective and substantial involvement of the hematology patient community in all, even the earliest, stages of research and development conducted by the companies, to make sure the evidence generated by the patient organisations is developed for impact and is taken into account appropriately when decisions (e.g. in R&D) are being made in industry, and to find solutions to the increased burden of legal and compliance issues. The hematology patient community is very engaged in research, development and regulatory affairs. However, the patient organisations felt that the insights of patient experts and patient organisations e.g. in terms of defining research priorities, trial designs, as well as contributions e.g. to data safety monitoring boards, as well as communication to clinical trial participants could be included more systematically and effectively by industry researchers, and there are only a small number of documented cases where the input provided by the patient organisations has influenced decision making in industry R&D. To get different perspectives of the companies involved in hematology R&D and to discuss how the collaboration in R&D could be strengthened, the Hem-CAB asked the eight companies to report about successful examples of effective patient engagement in early phases of industry R&D and to provide suggestions what the patient community could do to improve meaningful input. Companies reported on their current and planned practices regarding the involvement of patients across the development spectrum. The systems and practical implementations of companies are varied, which is partly also related to the degree to which each of them is established in the market. Usually, companies that have been involved in hematology for longer or have a historically more established pipeline also have more stable and consistent patient involvement rules, structures and processes. Increasingly, patient involvement goes beyond the late-stage inclusion of the patient voice in ICF assessment or phase IV trials. Hem-CAB argued for the involvement of patients in even the earliest stages, such as the setting of research priorities, protocol design, and the definition of needs. Participants agreed that novel and more systemic ways of patient involvement may be new to many companies, which also necessitates consistent internal capacity building and the adjustment of systems. Some participants argued that more inclusion also requires an attitude change in health care providers. Particular value is seen in the inclusion of patient representatives in patient-related outcomes (PROs) and their measurement. However, work has been ongoing, and one company has also recently supported the publication of an article about the financial value of patient involvement. Several speakers on the patients’ side emphasized that patient involvement in research and development is not only financially reasonable, it is also ethically imperative. Often times, patient groups are asked to be involved only if there are legal problems with a particular medicine’s registration, HTA process or reimbursement, while involvement at earlier stages would be more meaningful. Several studies and organisations keep a record of different successful involvement initiatives. Also, patient organisations have been and are doing a lot of work to build the knowledge of their members and representatives so that they match the requirements of the R & D process when it comes to joint work. One proposal discussed was the implementation of a scorecard system that would allow patient organizations to monitor the patient involvement practices of companies; but also, would allow companies to keep track of their own performance in this area. All agreed that a more structured approach to the input of the patients’ opinion was needed. Also, more involvement in the identification of needs was required so that these needs are focused on subpopulations and groups. Patients request to be included in protocol review: phase 1 is not essential, but phase 2 and 3 are seen as necessary. Data Safety Committees (DSCs) and investigator meetings should also include patient representatives. As a platform for collaboration, CABs by invitation of the patient organisations were seen to be one of the most effective platforms to bring in patient experts' skills and knowledge, rather than any other affiliation with the company or otherwise. The essence of this topic was how patient organizations can generate good quality evidence that can improve the decisions of companies. Patient advocacy is increasingly moving towards Evidence-based Advocacy to support their work and standing with other stakeholders with solid evidence on the needs and wants of the patient community they represent. Evidence-based advocacy has become a guiding principle of the emergent patient movement across Europe. Patient organizations, including the ones represented at the Hem-CAB meeting, have invested plenty of time and resources upscaling their capacity and enabling themselves to collect and generate scientifically meaningful evidence that underpins their advocacy work in biomedical research and health policy, i.e. without the filter of the doctor or nurse. In this Hem-CAB session, patient organisations wanted to know from the companies how they take advocacy-generated evidence into account, what the evidence is that industry needs from patient organisations to effectively influence their own decision making, and how patient organisations and industry can collaborate towards a more systematic methodology on the generation of patient evidence. 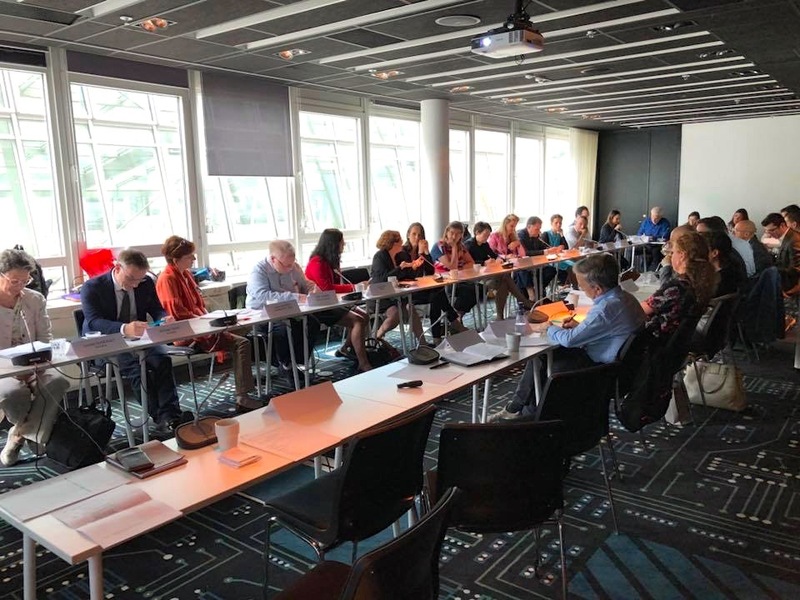 There was a consensus among the companies attending the Hem-CAB meeting that evidence generated by the patient organisations is vital for the future of the medicine research. However, systematic approaches are lacking in this field across the board. In some areas, the landscape is simply not sufficiently developed to consistently include patient-generated evidence. Company representatives argued that this should be a two-way process, in that patient organizations should also actively offer evidence generated by them to improve industry-led research. The participants acknowledged the fact that patient communities generate different evidence from what companies or researchers may collect and generate, and their research has different motivations. This unique information needs to be incorporated into industry processes. Also, a closer feedback loop is needed between industry, research and patient groups. Currently, patients contribute to research in many different ways but find it difficult to access the results or outcomes. The CAB model has been recognized as a feasible avenue towards better integration of all stakeholders’ work. Several company representatives urged patient organizations to develop and improve their publishing practices. Indeed, patient organizations have not been systematic enough in publishing and disseminating their results and research findings, even if the quality of such research matches international scientific standards. Also, patient organizations believe that they can do as good a job as agencies hired by pharmaceutical companies to do the kind of research that collects patient needs and generates patient evidence. An important proposal and agreement at the meeting concerned the possible establishment of a “research institute” or “office” by patient organisations, which could be responsible for the coordination and pooling of patient-generated evidence, its dissemination, authoring, and which could also control the ownership of data so generated. There was agreement that patient organizations should increase their capacities in this area by building better infrastructure / collaborative models in a way which allow for good data collection, proper analysis and published in peer-review journals for all stakeholders to use it as a reference. The use of open data and the necessary and impending changes in the current publication regimes were also discussed. More open communication, that can still respect compliance regulations, will also need to be considered. Also, patient organisations will need to share good experiences and document best practices more proactively and extensively. In order to be able to implement these objectives, patient organizations argued that unrestricted grants and core funding should be continued to facilitate unbiased research. Collaboration between POs and industry is under public scrutiny, which is why the collaboration needs to operate in a transparent way that protects the independence and credibility of both parties, a process that compliance and legal departments are trying to facilitate on the basis of codes of practice, regional regulation and internal procedures. To a certain degree, these regulations are also seen as an impediment to quick and efficient work on the industry side. However, there have been ample complaints from patient organisations due to the complex and sometimes highly restrictive legal and compliance regulations of the industry. Especially in relation to the sometimes contradictory interpretation of codes and legal rules which make the collaboration increasingly difficult, and lengthy rounds of resubmissions of e.g. grant requests, coupled with non-retrospective funding and non-funding of ongoing programmes, which limits the potential for effective patient advocacy work. This necessitates an improved and more intensive dialogue to overcome these problems. A particular issue is that patient organisations are expected to match and adapt to the legal and compliance regulations, and corporate cultures of several companies, all of them non-standardised across the industry, which ties up a lot of energy, time and effort on the patients’ side. This is why the Hem-CAB asked each of the companies about: how to create an environment where a trusted and safe collaboration is possible without overburdening the POs with excessive regulation; what approach each company takes to strike an acceptable benefit/risk balance; and what the patient community can do on its side to reduce compliance hurdles for industry. Some companies have already started a process to streamline their internal processes and documents. Other companies have now been made aware of the challenges. The Hem-CAB meeting and its organization, the information access limitations and elaborate confidentiality agreements was first-hand evidence of the complexity of the situation. Initiated by the patient community in oncology, the WECAN Project on Reasonable Legal Agreements has been considering these issues since 2017 in collaboration with a workgroup of legal and compliance officers from multiple companies. Given oncology is a key field of patient advocacy and R&D, the leaders of the WECAN participant organizations have the power and mandate to bring about a fundamental change in how contractual relations between industry and patient advocacy are governed and implemented. As agreed by both patient organisations and industry representatives in the Hem-CAB, the WECAN project is in a unique position to identify the key interests of patient organisations and advocates that need to be protected when signing agreements with the pharmaceutical industry. Companies that are not yet involved in this project have been urged to join. The discussion also included some considerations around the fair market value of, and remuneration for, the work of patient experts and patient organizations. This is a particularly sensitive issue in some settings in Europe, which is further complicated by different industry rules and standards. This topic will be discussed further with the Hem-CAB stakeholders in future meetings, based on a proposal currently being worked out by WECAN. The participants agreed that it makes sense to start a conversation about the concept of risk when industry and patient organizations work together. A better understanding of risks and exposure may help tackle paternalism and bureaucracy in the processes. Also, there is a possibility that the PARADIGM project by IMI2 can contribute to establishing a more standardized and streamlined environment for the involvement of patient experts in medicine research and development. Another key finding is that the application of practices from the USA without consideration of the specificities of the European setting should be avoided. The importance of transparency was stressed by all stakeholders several times. One proposal concerned the setting up of a training course or capacity building resource from patients to companies to educate caseworkers and decision makers in different industry departments about the real-life applicability of legal and compliance processes in patient advocacy. Other actionable points from this part of the meeting included the invitation of legal and compliance persons to the next Hem-CAB meeting, putting together a catalogue of hurdles and challenges, developing contracting templates (WECAN working on relevant guidelines), and organizing a “roadshow” by patient groups for companies to discuss current challenges. Closing the meeting, all participants expressed their wish to continue work in the Hem-CAB model, potentially with a follow-up Hem-CAB meeting towards the end of 2018.